SPRINGFIELD Stadium will be built after Prime Minister Scott Morrison revealed $15 million would be granted to the Brisbane Lions. Mr Morrison announced the Federal Government would provide $15 million for the Lions' training and administration facility, The Reserve at Springfield. He said it would also include a boutique 10,000 capacity stadium. 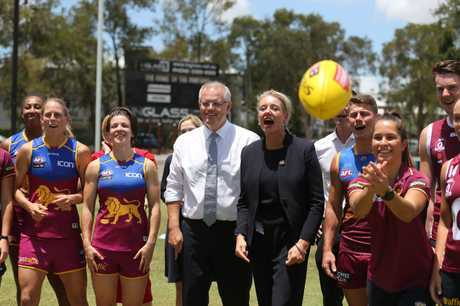 "To give women's football, women's AFL, a real shot in the arm, we're announcing today $15 million for this wonderful project, The Reserve project, out at Springfield, which is going to be the new home of the Brisbane Lions Women's AFL," Mr Morrison said. 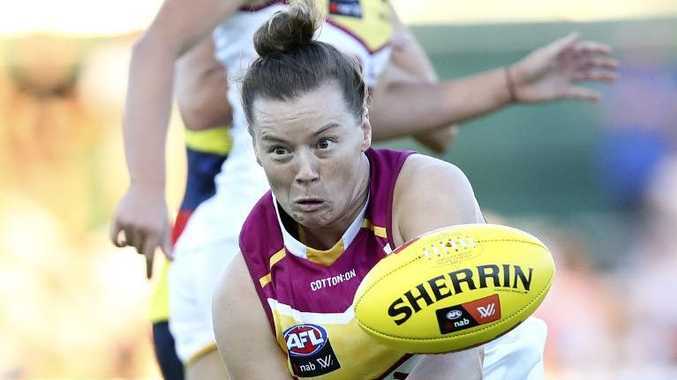 "Young girls, all over Queensland, know that there is a home for them in AFL. That there is a future for them in AFL." Mr Morrison has been splashing the cash across Queensland, a state the government must win to stay in power at the next election. The State Government has previously said it would fund its share of the Springfield Stadium when the Federal Government came to the party. Lions Women's CEO Breeanna Brock said today's news was a dream come true after years of hard work campaigning. "It's just going to change the game for us, we couldn't be happier," Ms Brock said. "To have all levels of government come together is amazing for what it's going to do for women's football in Queensland." "The Queensland State Government have previously indicated their financial support for the project, subject to that funding being matched by the Federal Government," Mr Wellington said. "This announcement from the Federal Government means we can now start working directly with all levels of Government to take the project forward. "The Reserve will not just provide a home for our AFLW team, it will also allow us the space and resources to properly expand our Hyundai Help for Kids Academy so that it can cater to the exponential growth we are seeing in participation in women's football." Facilities at The Reserve including the pool, gym, meeting rooms and auditorium will be available to the wider community. Construction of the facility will start this year and is expected to be complete by 2021.